Yayasan Rare Angon Giri Indrawati is the NGO entirely built by local people, for the children living on the lush hills on the east coast of Bali. 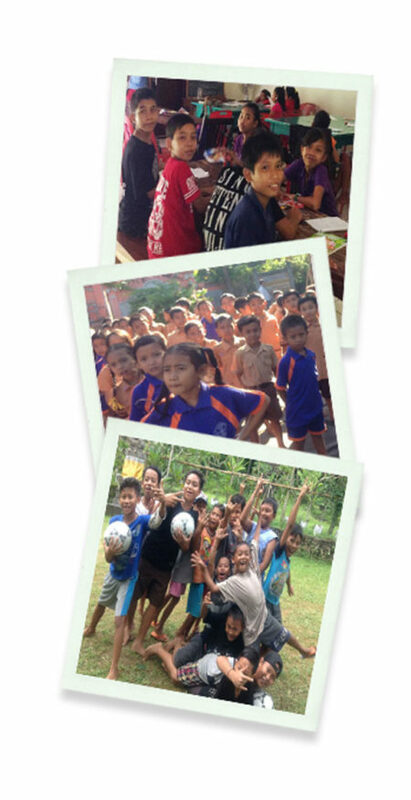 Out of love for them and the land, they call their students Bali Children of the Hill. The NGO has a scope of providing additional after-school education to the students in four primary schools in the surrounding area. The program focuses on English lessons, computer lessons, environmental lessons and sports. Bali Children of the Hill are 130 students from the ages of 7 through 14 years old; the majority come from agricultural families who harvest the land growing rice, coconut, papaya and banana. Book Bags, College-Ruled Paper, Colored Construction Paper and Pencils, Compasses, Crayons, Dry-Erase Markers, Erasers, Glue Sticks, Handheld Pencil Sharpeners, Markers, Pencils, Pencil Cases/Bags, Pens, Protractors, Rulers, Solar Calculators and Lantern Lights, and Wide-Ruled Paper.